He drops me off at work, mentions he’s going to hit up Target to see what they have on sale before they close. “Ooh, maybe you could get the new Taylor Swift CD for me?” I say not too seriously. A friend had it on in the car the other day and though I was sceptical at first, I kinda liked her full-fledged immersion into pop. “Haha, ya right,” he jokes. A fan of Johnny Cash, Patty Griffin, and Guns N’ Roses, Taylor Swift is not someone he would ever listen to on his own volition. I forget about the conversation the rest of the day but guess what is waiting for me on the passenger seat when he picks me up? Not only did my fiancé buy me Taylor Swift’s 1989 album, but he bought me the deluxe version, complete with 3 bonus tracks and 3 voice memos about her songwriting process, as well as 13 polaroid photos of her with various song lyrics written in her hand at the bottom. I felt a little silly and teenager-like having all this T. Swift hoopla on me when I’m not even a huge fan, but on the other hand, I was impressed by how much she gives her fans. You can tell she really likes them. Considering a lot of musicians don’t even put their lyrics in the album booklet anymore (which is the only reason to even buy physical CDs rather than just getting them off iTunes, in my opinion), it was really refreshing to find all her lyrics in there AND a foreword to the album. I have not followed the ins and outs of Taylor Swift’s life at all—just liked some of her hits now and then—but this foreword offered a pretty personal glimpse into her life. I think that’s what’s attractive to her fans—she talks to them like friends, like she’s learning and growing with them. 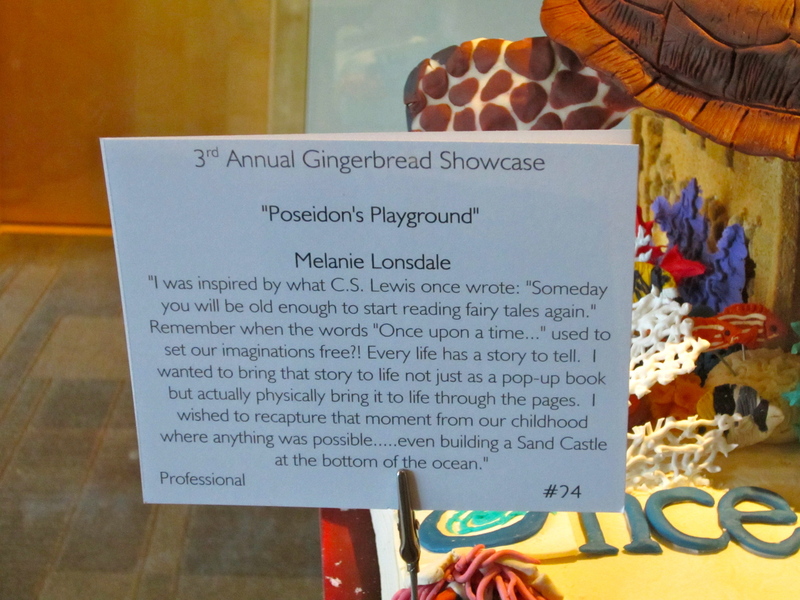 I’ve always thought she was a good songwriter, but she’s also a pretty good prose writer. For the last few years, I’ve woken up every day not wanting, but needing to write a new style of music. I needed to change the way I told my stories and the way they sounded. I listened a lot to music from the decade in which I was born and I listened to my intuition that it was a good thing to follow this gut feeling. I was also writing a different storyline than I’d ever told you before. She goes on to discuss moving to New York City, something she said she’d never do. The big synth-pop sound of her opening track “Welcome to New York” starts the album off with a bang that lets you know we are not in Nashville anymore. That’s probably my favourite song on the album and it’s fun to sing to when driving, bass up, windows down (and yes, even my fiancé sings along!). “Welcome to New York” could become the next New York anthem (after “Empire State of Mind” by Alicia Keys and Jay Z). Full of adventure and hope, it sounds like everything I remember feeling when I visited four years ago. I like songs that bring you back in an instant. “Style” is another fun one to sing to while driving. For a slower one, “You Are in Love” (one of the bonus tracks). Anyway, I don’t often write about celebrities or albums but it’s been years since I’ve bought, let alone received a CD, and I felt this was one worth talking about. 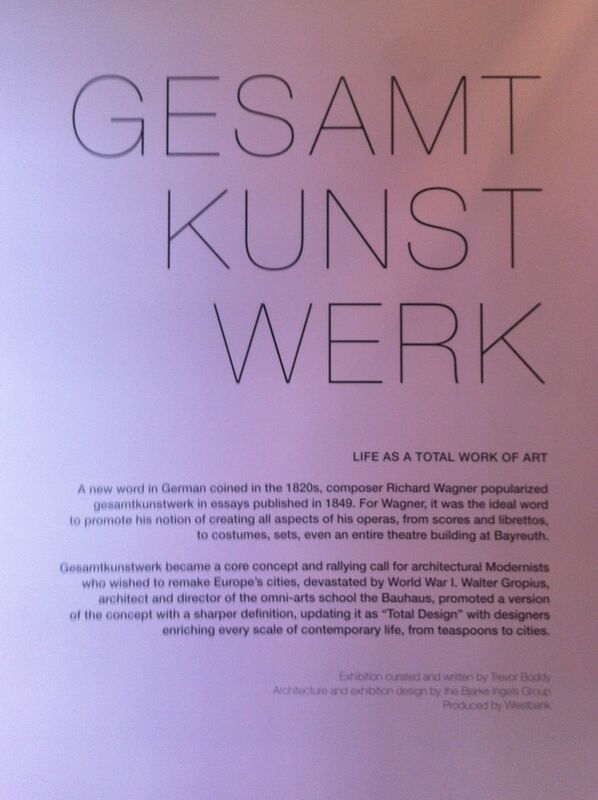 If you’ve been following architecture news in Vancouver lately, chances are you’ve come across Gesamtkunstwerk: a German word translated as “life as a total work of art.” You can watch some videos of famous and no-so-famous Vancouverites guessing how to say it and what it means over at gwerk.ca. 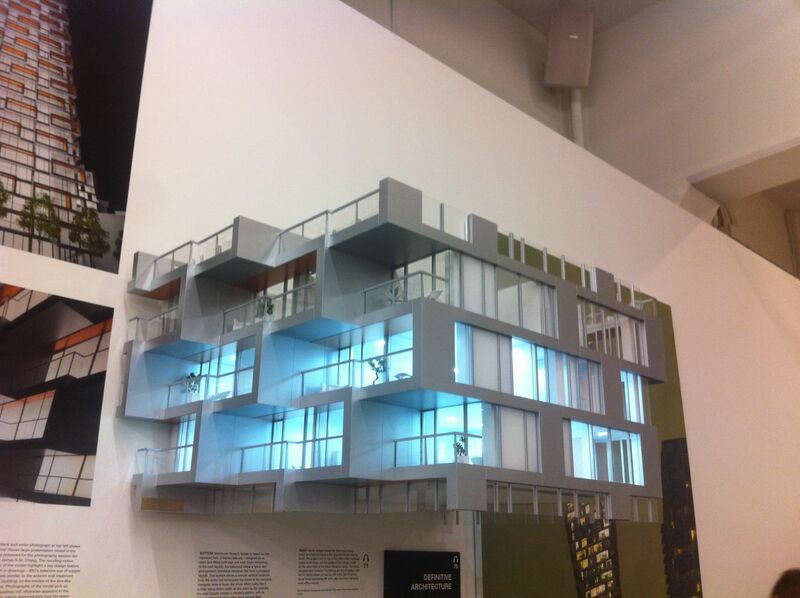 The Gesamtkunstwerk exhibition is open to the public from now until May 18, introducing Vancouver to a new residential development + urban village idea planned for the the north side of the Granville Street Bridge in 2018. Design by the Danish architecture firm Bjarke Ingels Group (BIG) and developed by Westbank, a Vancouver-based company, the residential tower is just one part of the “total design” concept that champions a synthesis of art, architecture, interiors, urbanism, and energy with public-mindedness. This public-mindedness is apparent in the chance to witness the plans and ideas behind the site long before it appears on the downtown cityscape. I spent roughly an hour touring the exhibit housed in an unused warehouse/storage space characteristic of this Beach Avenue area. 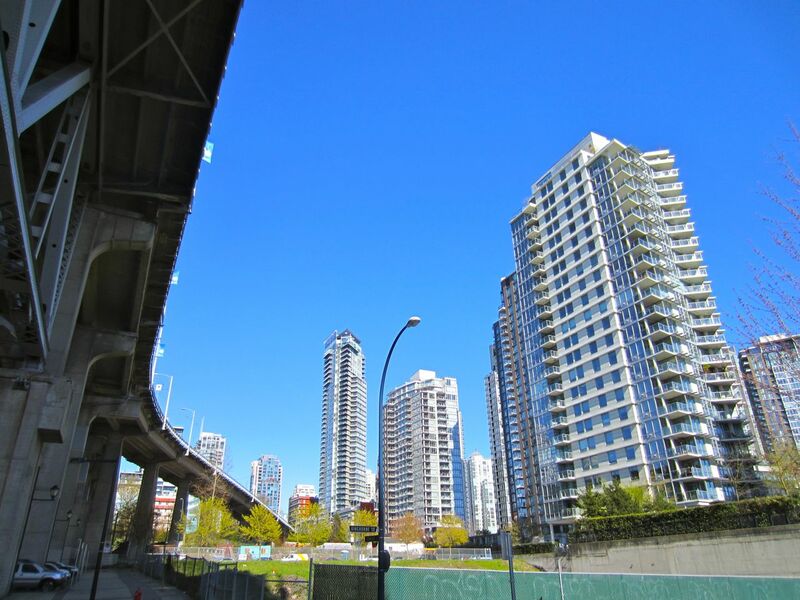 BIG and Westbank want to turn this rather dark and seedy parking and storage-infested “neighbourhood” under Granville Bridge into a vibrant village with a residential tower, low-rise retail and office buildings, as well as a recreational facility. 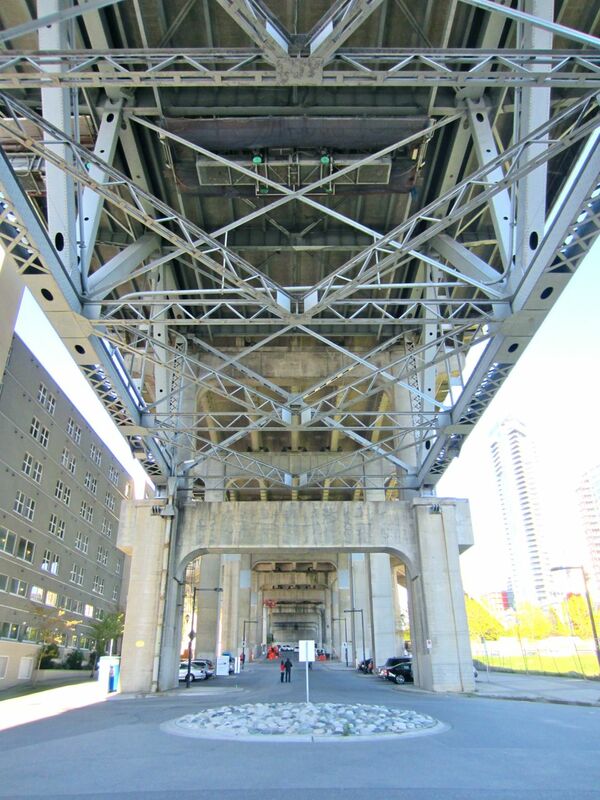 Public art is planned to brighten the underbelly of the bridge through Rodney Graham’s spinning chandelier and overhead, coloured lightboxes curated by students from Emily Carr University of Art + Design. When looking at the models for the site, it’s hard not to be impressed by the scope of the design, specifically in light of the building’s challenges. The shape of the land is triangular to begin with, making it resemble New York’s Flatiron Building, which was the innovative convergence of a unique site + the use of steel as a building material for skyscrapers. 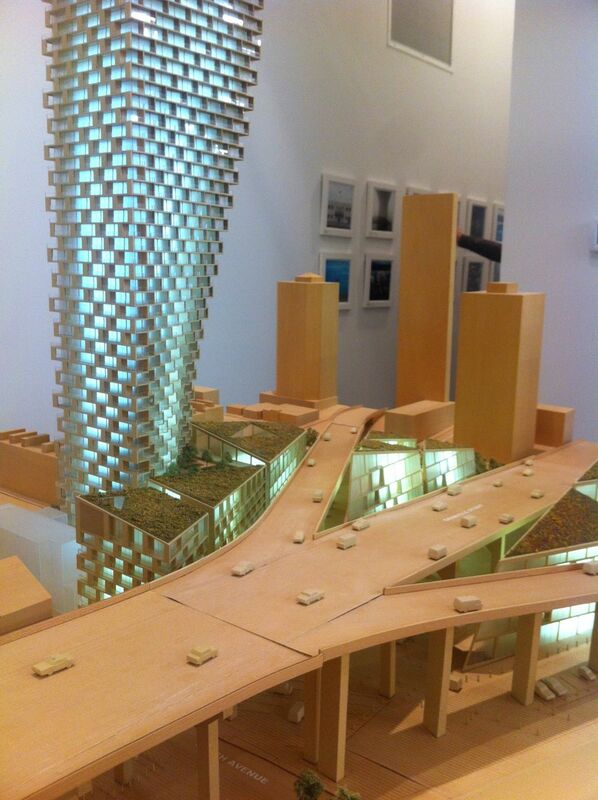 Vancouver House, the name of the proposed residential tower on the north end of Granville Street Bridge, takes the Flatiron’s challenge one step further because city building restrictions require a 30 metre setback from the bridge. BIG’s solution to this design challenge was to torque the rectangular building once it got past the 30 metre mark, so that the top half of the tower is actually double the amount of apartments as the base—a pretty incredible feat. What’s so interesting is that you can’t even tell the building is torqued as you’re approaching it from the south—it simply looks like a rectangle. 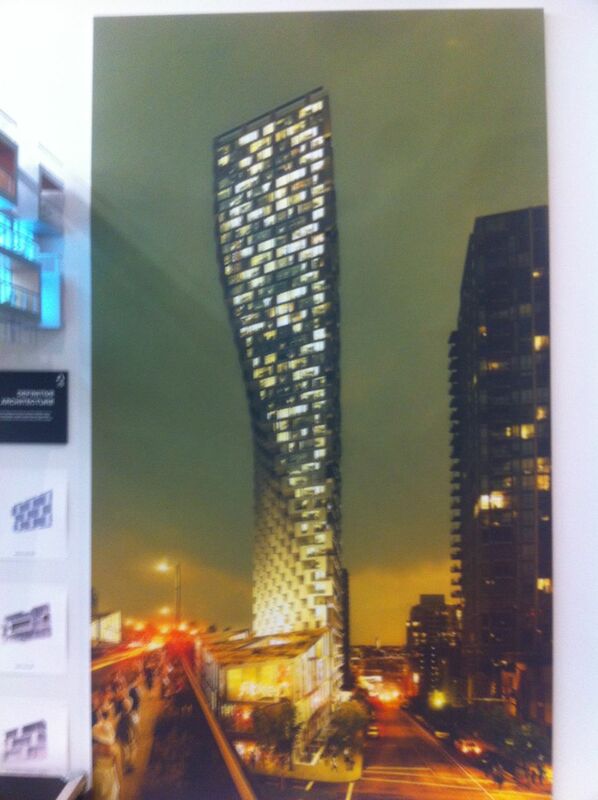 This “building with a twist” concept also provides maximum light for all the suites, as well as those million-dollar Vancouver views. New York inspired the site in another way too. 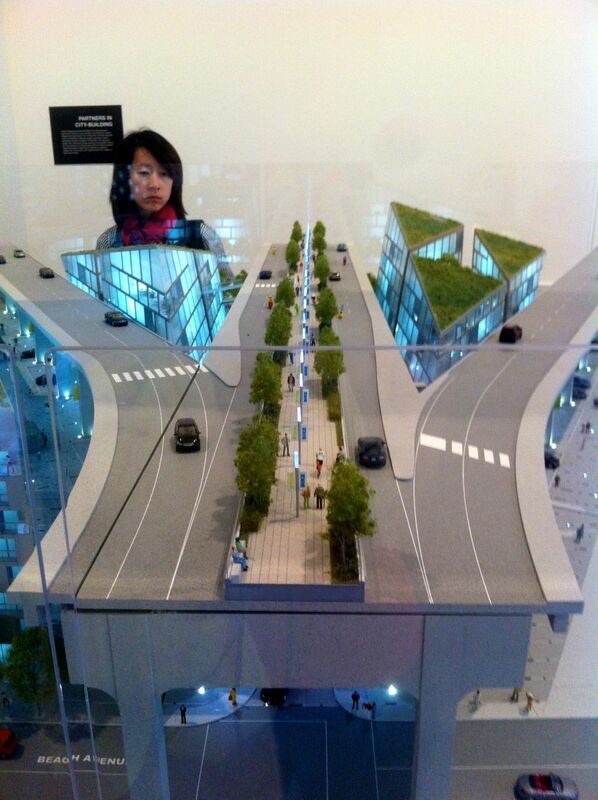 As you’ll see in the model below, Granville Street Bridge is no longer just a car bridge, but now includes a 2-lane greenway in the middle—basically, a park on the bridge, similar to New York’s High Line. There will also be rooftop gardens/parks on the other triangular-shaped plots created from the bridge’s infrastructure—a much more aesthetic view coming into downtown than the current monochromatic greyness of parking lots. One wall of the exhibit gives you a peak into the interiors of the residential suites, and one cool feature that caught my eye is a torqued kitchen island that matches the outside of the building—another example of a syncretism between exterior and interior. Life as a total work of art. 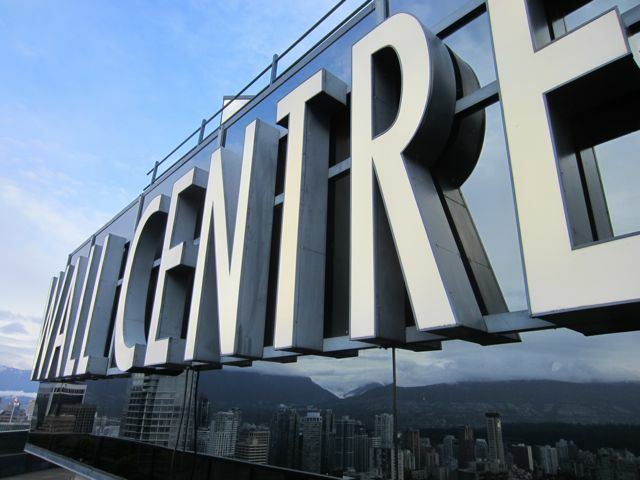 I would recommend going around the exhibit with the free audio tour, which explains the Vancouver’s famous tower and podium-style architecture often referred to as “Vancouverism,” and how Vancouver House is an updated, “2.0” version of this style. Arthur Erickson paved the way for this style, and one of Gesamtkunstwerk’s claims to fame is a never-before publicly-shown Erickson sketch of a futuristic-looking Vancouver with spiral, curvy buildings that Erickson imagined way back in 1955. Now that’s a man who thought way ahead of his time. BIG’s innovative Vancouver House seeks to pay homage to Erickson’s vision. It’s exterior resembles another Erickson-designed Vancouver building—The MacMillan Bloedel Building with its tapered walls and deeply recessed windows that give it a waffle-like façade. 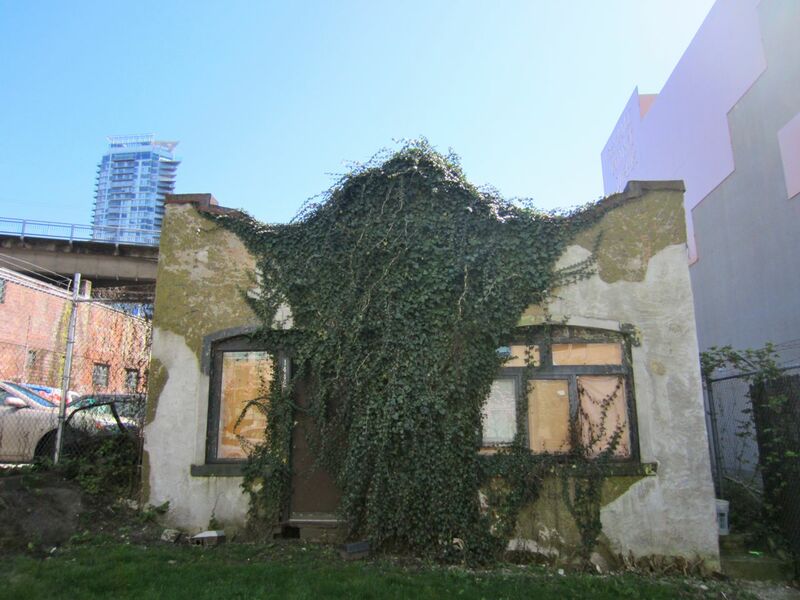 As you can probably tell, I’m excited at the idea of beautifying and enlivening north Granville to match its neighbour to the south, Granville Island. I also like the addition of soft curves to our hard-edged cities, akin to Janet Echelman’s TED sculpture that I talked about here. 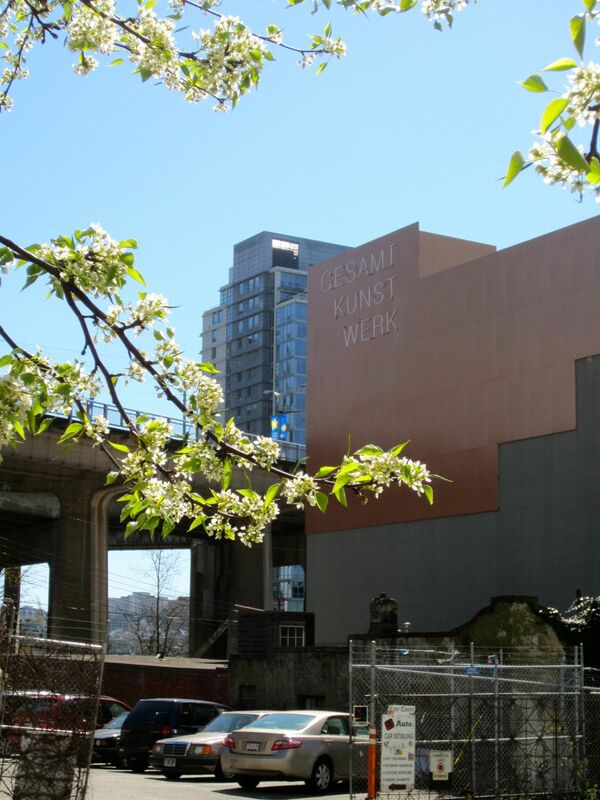 And given the 6500+ people that have toured the exhibit since it opened on March 22, I’d say Vancouverites like to be engaged in the planning of our city, even if we still don’t know how to pronounce Gesamtkunstwerk when we walk out of the exhibit. 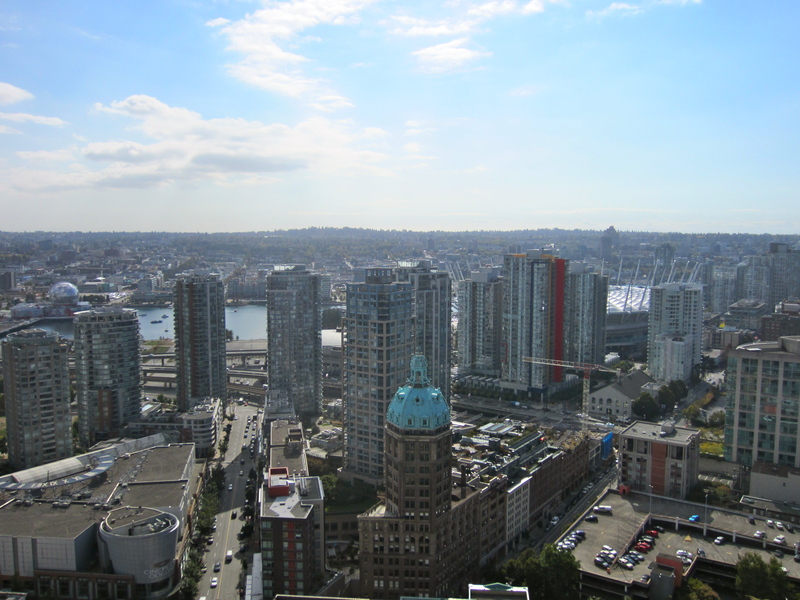 I’ve stood on three rooftops in Vancouver, and two of them in this past week. That’s quite a lot considering I just moved to Vancouver about a month ago. Like most French theorists, de Certeau has obscure theoretical concepts for what are actually pretty simple, everyday things. His main distinction was between strategies and tactics and the two groups of people who use them. Governments, institutions, and other dominant power structures are what he calls the producers of strategies. 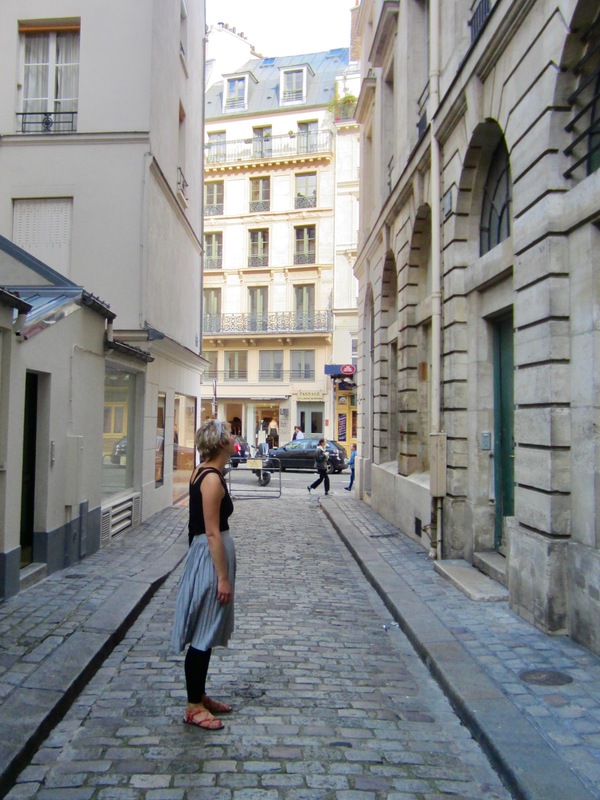 Strategies are ways we are taught to read and interpret the city. Where there are producers there are consumers, and that includes the rest of us individuals who fight back (consciously or not) against producers’ strategies with tactics. This all sounds really abstract, but de Certeau breaks it down into some practical examples. Strategies include maps that City planners make to present the city as an organized, unified whole. Buildings also function in this way – particularly skyscrapers or other high-rise towers that offer the visitor or tourist a synoptic view of the city that is easy to digest. Consumers fight back against these strategies through tactics that can never be fully predicted by the producers. Jaywalking is a tactic because it goes against the official grid that City planners have mapped out—especially in a quintessential grid city like New York. Locals know the shortcuts and the detours. They can cheat the producers. It’s like one big urban battlefield. I think de Certeau’s point (at least an oversimplified version) is that the practice of everyday life in the city involves this tension between producers and consumers. Strategies are especially effective on tourists. I can speak from example. Whenever I’m in a new city, I seek out high places early on in my trip to give myself a bird’s eye view of the place. Take New York. 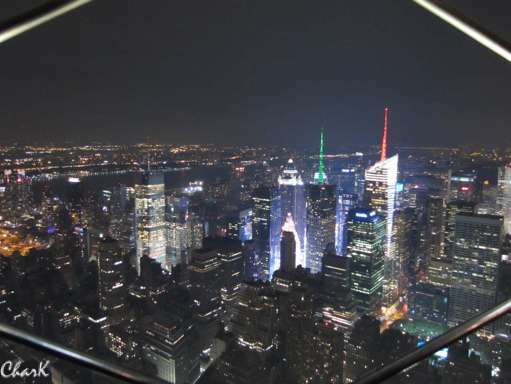 I visited the Empire State building on one of my first nights there. In London, there’s the London Eye, whose name even alludes to this panoptic vision of the city. Manchester has one too. In Ottawa, there’s the Peace Tower on Parliament Hill. In Toronto, the CN Tower. In France, the Eiffel Tower. All these places are especially marketed for tourists, and I think they work because when you’re new to a place, you’re vulnerable. You often don’t know the language, the customs, or the way around. Seeing the city from above gives you a sense of control, even if it’s illusory. You get a feel for where neighbourhoods are in relation to other neighbourhoods, where landmarks are located, and a sense of the size of things. But this perspective isn’t the “real” city. The real city is experienced at street level where the consumers have a local knowledge of how to get from A to B, which stores are open and when, what streets to take and which ones to avoid due to traffic, construction, panhandlers, or who knows what reason, and a whole list of other insider information. 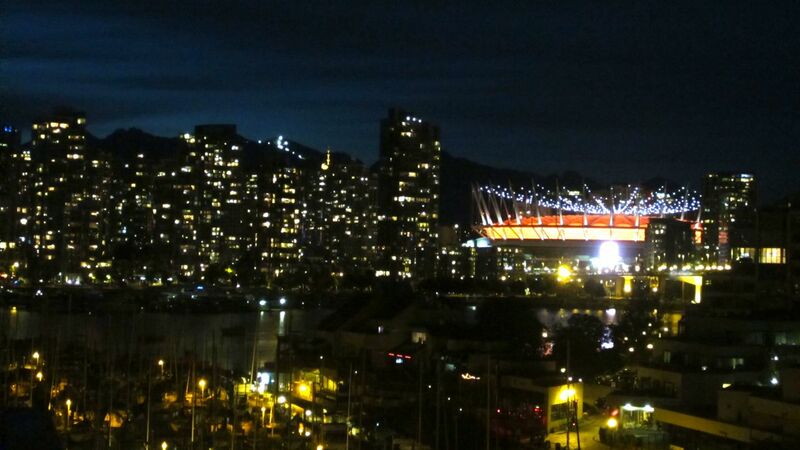 I feel like I’m in the transition stage between being a visitor and a local in Vancouver. 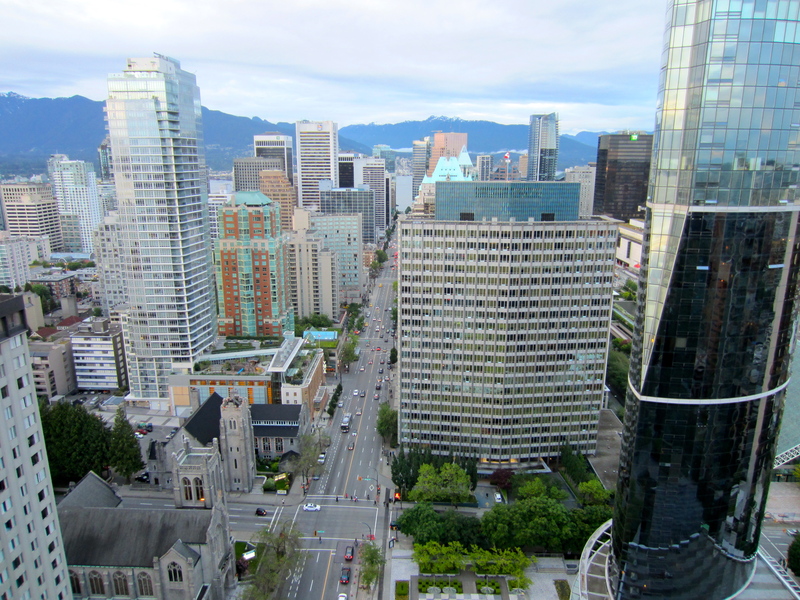 Standing on two rooftops this week, I was struck by how very different Vancouver is than any other city I’ve lived in or visited. 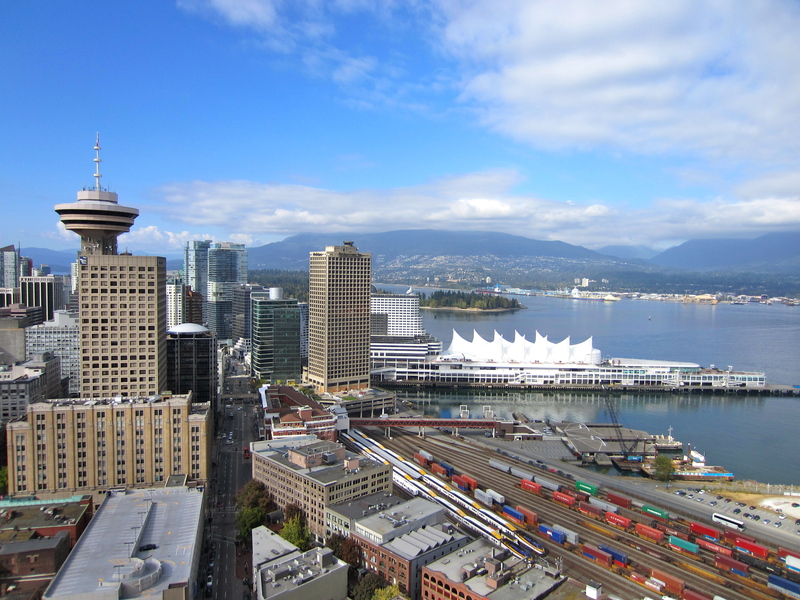 Vancouver is the only one that doesn’t have an open-to-the-public tower or high-rise offering a panoramic view of the city (at least not to my knowledge). Vancouver is so private. We love our million dollar views but we keep them to ourselves. 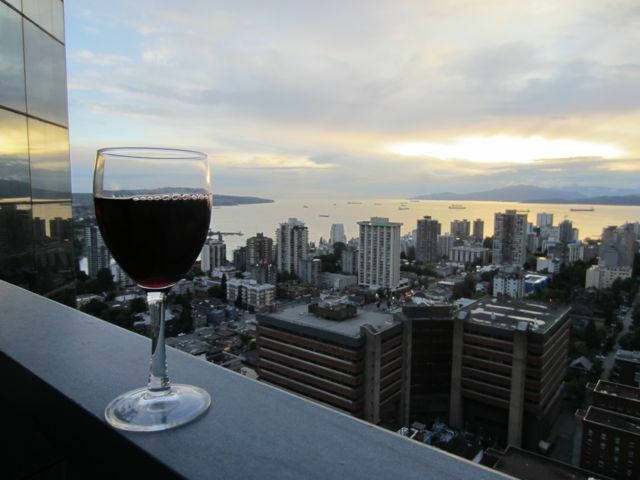 I would never have stood on the rooftop of the Sheraton Wall Centre in downtown Vancouver this week had I not been part of a launch party for a condo website I write for. The concierge had to swipe a card in the elevator so I could even access the 35th floor. 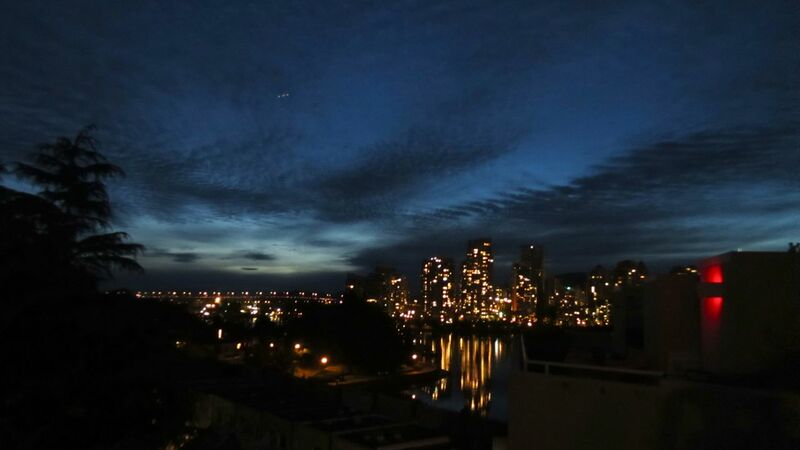 The other rooftops I experienced in Gastown and False Creek South resulted from knowing someone who lives in the buildings. Needless to say, I don’t take these views for granted, especially since they’re so hard to come by when you’re new to Vancouver. And I’m not going to deny it—I love the view from the top. I may be participating in producers’ strategies by relishing these confidence-boosting vistas but I cannot help but equate rooftops with happiness. There’s something about physical height that simultaneously heightens my spirits. I feel on top of the world. What’s your strategy/tactic when you visit a new city? Do you seek out high places or do you stick to the streets? 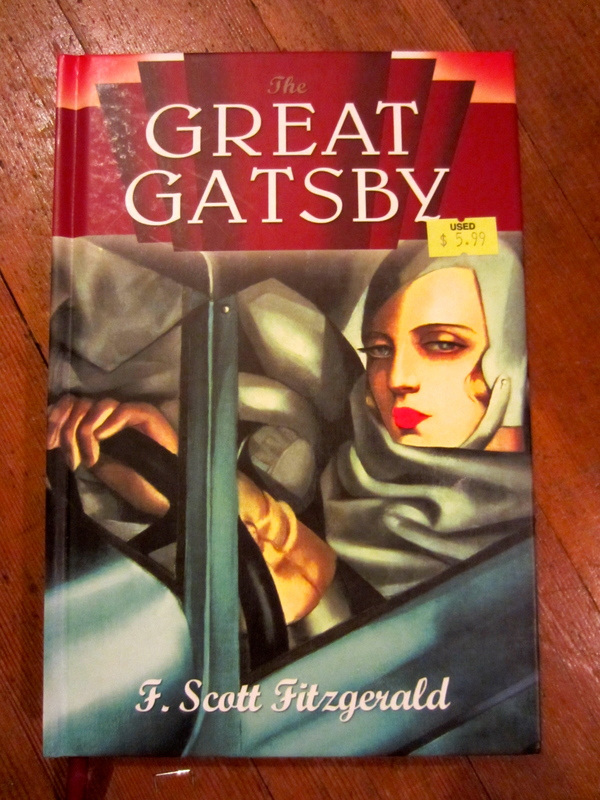 I wrote briefly about The Great Gatsby before. After watching Baz Luhrmann’s version in theatres this weekend, I may as well add my thoughts to the plethora of critiques and articles out there. If you haven’t watched it or read the book, which I highly suggest you do, you might not want to read further. In other words, spoiler alert. 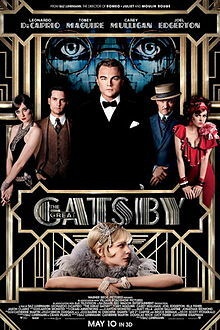 Then again, if you haven’t read The Great Gatsby, come on, it’s been around since 1925! First off, I liked the movie. It was more faithful to the book than I anticipated. I don’t know why I anticipated otherwise. In fact, when I got home, I re-read sections of the book and kept muttering to myself, “Oh, that line was actually in the book!” “Oh, so was this one!” If you’re going to make a cinematic adaptation of a literary classic, it SHOULD be close to the book, but I guess I didn’t go into it with super high hopes in this regard. This article is the best one I’ve read on the movie, commenting more specifically on Daisy’s character and why we dislike her and yet also pity her. I love Carey Mulligan’s acting and thought she did a good a job as possible to capture the ephemeral, delicate, and superficial nature of a girl like Daisy who floats from room to room in Gatsby’s mansion as fascinated by his objects as he is by her. The article makes an astute comment linking one of the covers of the book where Daisy is clad in green to the green light that symbolizes her presence but also her unattainableness. The bored haughty face that she turned to the world concealed something – most affections conceal something eventually, even though they don’t in the beginning. . . I suppose she had begun dealing in subterfuges when she was very young in order to keep that cool, insolent smile turned to the world and yet satisfy the demands of her hard, jaunty body. I had to laugh at Jordan’s expression in the Plaza Hotel when Gatsby loses his temper at Tom and looks “as if he had killed a man.” Jordan is sitting on a chair, fanning herself and wearing a staged expression of shock. I think we’re meant to be amused by her aloofness. Nick’s comment that ends the scene, “I just remembered it’s my birthday” adds to this point that Nick and Jordan are only significant insofar as they create the opportunity for Gatsby and Daisy to meet, and then become wallflowers to their stories. They are the onlookers in the same room at the Plaza Hotel who may as well be watching the scene from the street below. Tension in the Plaza Hotel. Notice how Nick and Jordan are on the peripherals of this shot. Yet Nick is the necessary wallflower without whom we wouldn’t have a story, as we learn about and see Daisy and Gatsby through his eyes. This, however, leads to a problem I had with Nick’s interpretation – is it just me or did anyone else find themselves needing more convincing of why Nick had such admiration for Gatsby? Sure, he had never seen a man so full of hope before and with such a grand vision for his life, but is that really it? His last phrases to Gatsby is, “They’re a rotten crowd. You’re worth the whole damn bunch put together.” I don’t really believe these words and, in the movie, Gatsby doesn’t look like he believes them either. Gatsby’s quintessential gesture is the outstretched arm grasping at the green light on Daisy’s dock, a gesture that signifies he kept climbing and reaching for more. This didn’t really strike me as admirable though – more pitiable in that it’s a symbol of the human condition. We all have our green light we extend our hands towards, and even if we attain it, something else calls to us from across the bay, an evanescent light reminding us we are never satisfied. And how fitting that it’s green – a constant reminder to keep striving. Enough is never enough. Such a “great” man and yet nobody came to his funeral. That aside, I liked how the directors played with Nick Carraway’s role insofar as he is the first person narrator of the story (as he is in the book), but because he’s writing a memoir in the movie, he also becomes F. Scott Fitzgerald. There aren’t many roles I think Tobey Maguire is perfectly suited for, but he plays the unassuming character well (he always looks slightly surprised) and thus he makes the perfect embodiment of Nick Carraway who is “within and without.” The scene where he stands out on the balcony after the party in Myrtle’s apartment and peers into all the other New York apartment windows was probably my favourite part. 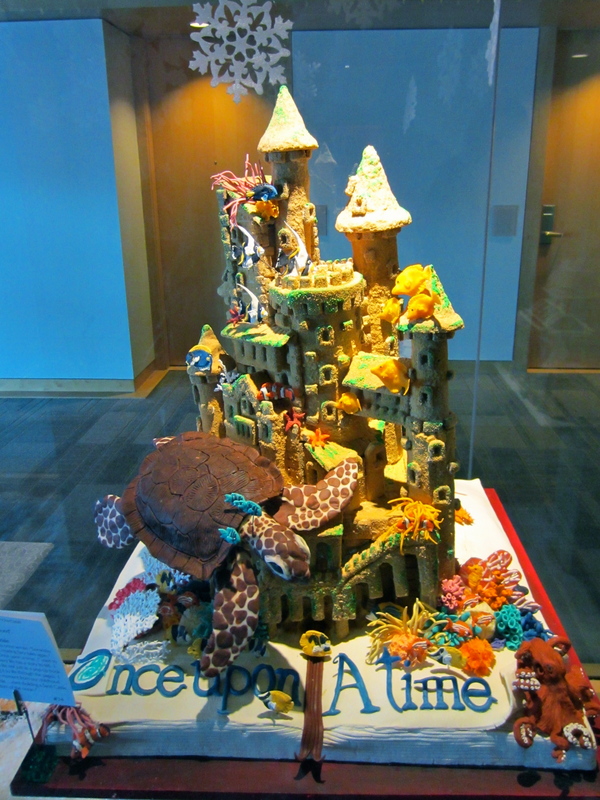 It was brilliantly done, and very postmodern. The movie presents the city as the collector of our narratives – these windows of our lives that strangers can glimpse in and out of from street level or parallel balconies without ever knowing us. Closeness without togetherness (reminds me of Sidewalls in that way). It’s interesting that New York repels Nick after Gatsby’s death. I don’t think Nick ever really loved the city, but his relationship with it shows the big city is vibrant and teeming with life when you feel full of life yourself, and a complete bore when you are disenchanted, walking around dead. In that sense, maybe the city is just a macrocosm for the emotions and experiences of the individual. Like a magnifying glass, the city amplifies ourselves. I think New York does this on a bigger scale than any other city, and for that reason, the novel couldn’t have taken place anywhere else. What are your thoughts on the film? I get a Carleton alumni magazine a few times a year, and in the latest issue, I was really happy to read the MacOdrum Library is getting a much needed facelift. This library is so ugly it never once crossed my mind to take a picture of it in the four years I was there, and I take pictures of a lot of things. So ugly that a prof even went on a rant one class about how uninspiring it is, and how can students be expected to respect a space that doesn’t respect itself? The only good thing about that library was its hours–it stayed open pretty late, but I’ve heard that has since changed. As the article says, everybody hates the tiny, jail cell windows. Ask anyone who’s ever studied there. And unless you have a super long torso, there’s no chance you’re even going to get a view of the quad because the windows are way too high. Did the architects think students would be less distracted if they didn’t have a window to look out of? The renovation plan, which aims to be completed by the end of 2013, is to push out the front by six meters and to cover those four floors with one large window. 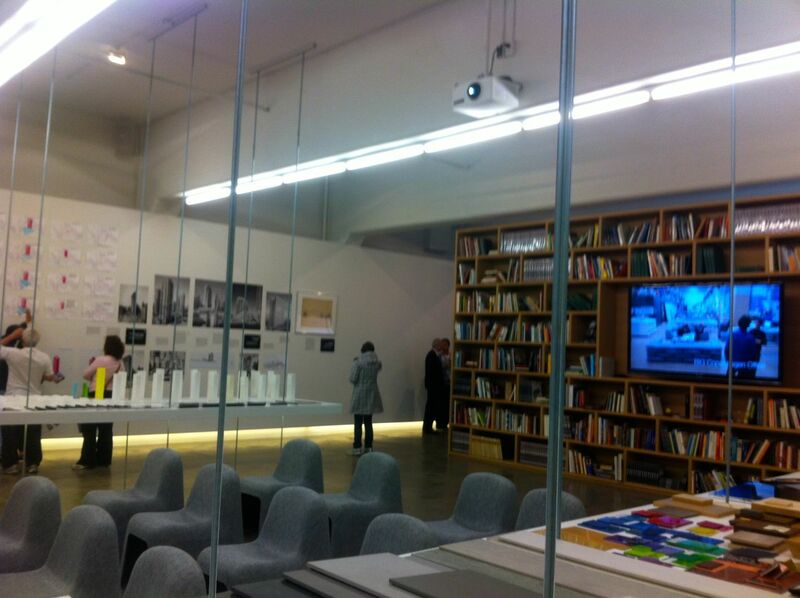 The space between the current wall and the new wall will be a socializing/group study space. This expansion also seeks to rectify the growing problem of a lack of study carrels by increasing its seats from 1200 to 2000. The future MacOdrum Library. SO. MUCH. BETTER. William C Mearns Library. What a difference! That entire glass wing is called the Students Galleria and it has extremely comfortable chairs. I would sit with my books and my laptop and bathe in the bright sunlight, waiting for inspiration to strike or maybe burn me through those windows, and the connection between libraries and illumination was all too clear but I didn’t care if it was cliché because here was a spot I liked to study. In openness, in light. 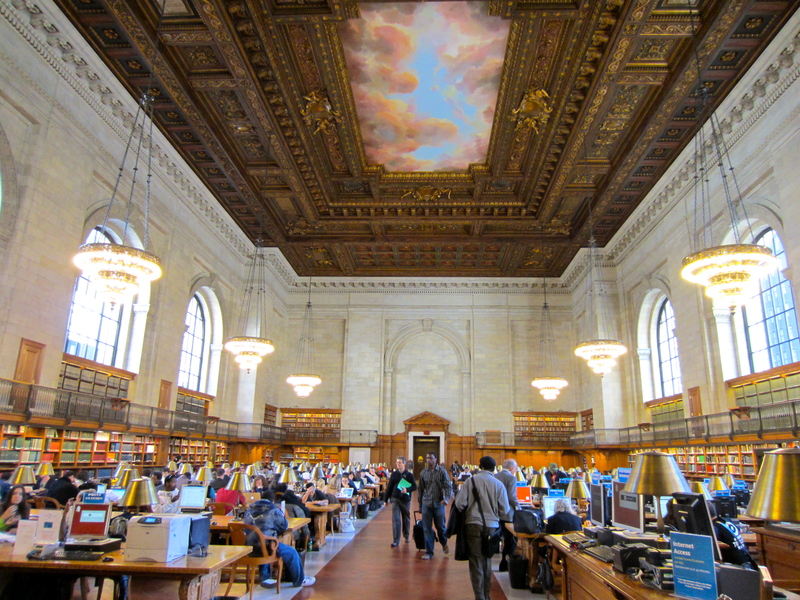 These two university libraries got me thinking about a loosely similar contrast in the New York Public Library. 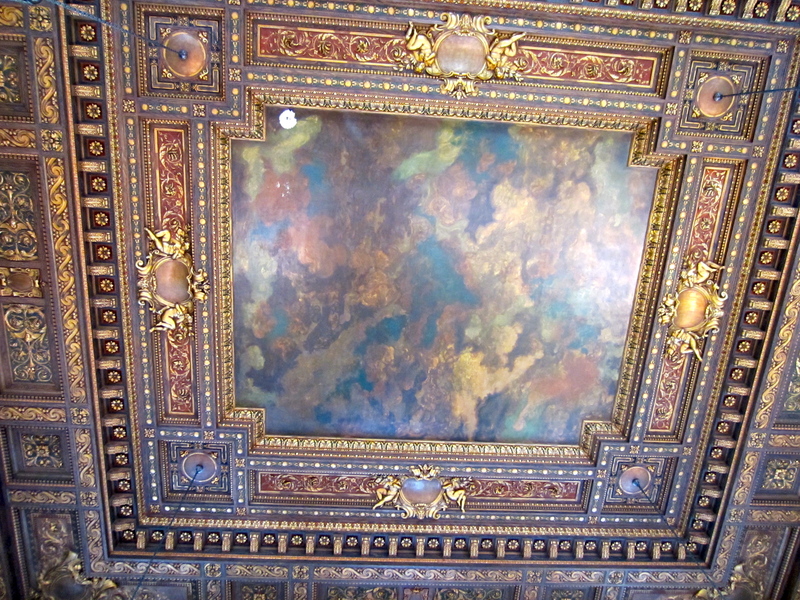 When I was there with a friend last October, our tour guide pointed to the ceiling in the antechamber of the breathtaking Rose Main Reading Room. The antechamber features a large mural with dark, chaotic clouds packed together. It’s supposed to make you feel tense, unsure, because that’s how research often is. You embark on a project and have no idea what you’re getting into. But as you stick with it, either you get used to the dark or it’s actually not dark anymore (see the Emily Dickinson poem below), and suddenly, you’re in a completely new space. The clouds part, the sky speaks in a softer blue, and the sun shines gloriously through. When I recently went back to Victoria to visit some friends, the University of Victoria’s 50th anniversary was also going on at the time. I attended the English Department’s special 50th anniversary reception entitled For the Love of Books. Part of the evening included readings by alumni, current students and professors, sharing from their favourite books they had submitted to this blog. At the end of the evening, I left with the list of 50 favourite books the department had compiled for the celebration. Of course I liked to check off which ones I have and haven’t read. 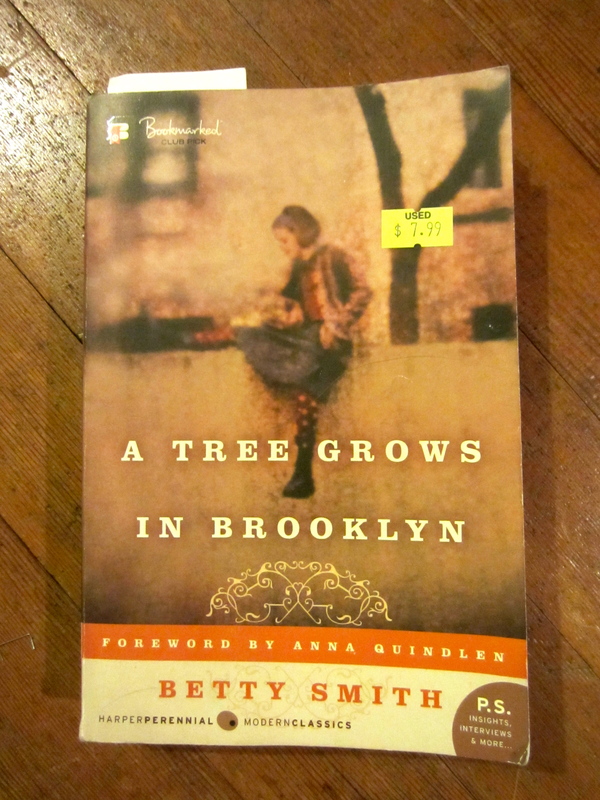 A Tree Grows in Brooklyn was on that list – another reason why I decided to read it in addition to this reason. On the 50 Special Books blog, the contributors gave a quotation from the book and an explanation of why they liked the quote or what special significance it has had for them in life. Not far away was the lovely span of the Williamsburg Bridge. Across the East River, like a fairy city made of silver cardboard, the skyscrapers loomed cleanly. 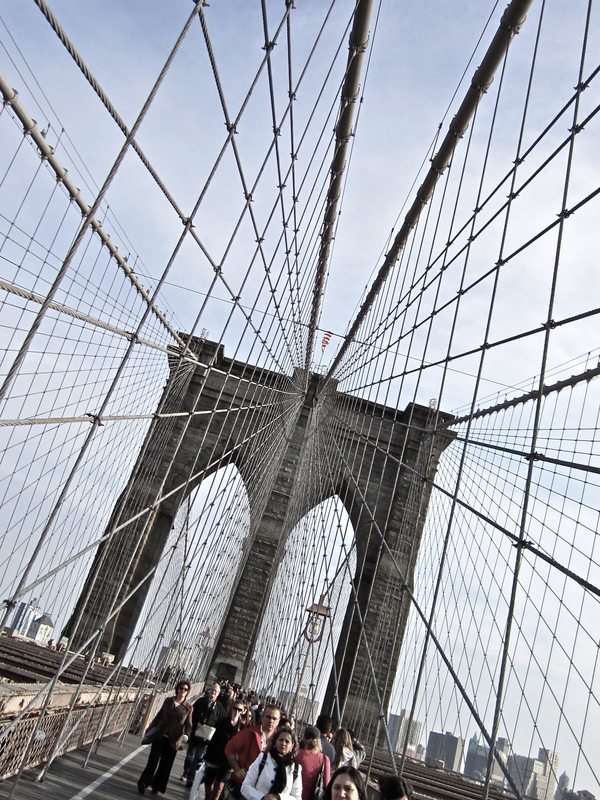 There was the Brooklyn Bridge further away like an echo of the nearer bridge. “I go over that bridge sometimes when I go to work,” Johnny [her father] said. Francie looked at him in wonder. He went over that magic bridge and still talked and looked like always? She couldn’t get over it. She put out her hand and touched his arm. Surely the wonderful experience of going over that bridge would make him feel different. She was disappointed because his arm felt as it had always felt. The Bridge had been the first disappointment. Looking at it from the roof of her house, she had thought that crossing it would make her feel like a gossamer-winged fairy flying through the air. 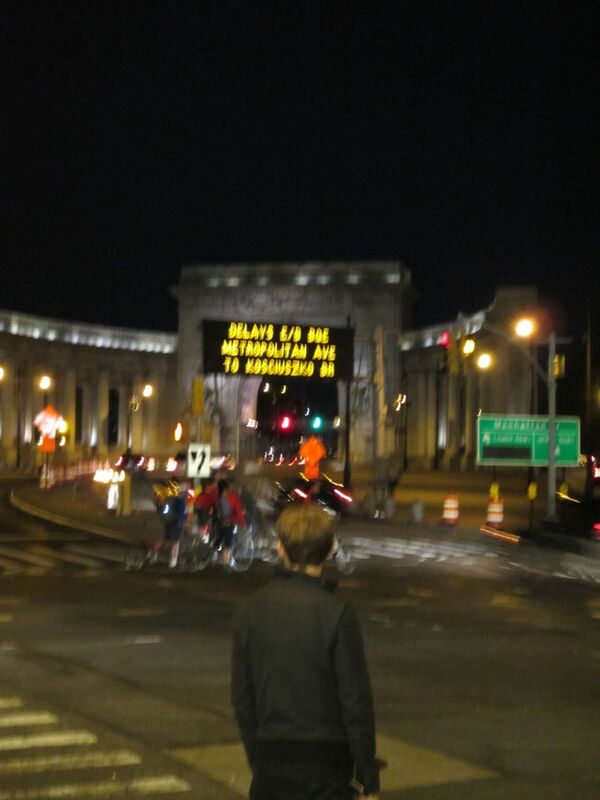 But the actual ride over the Bridge was no different than the ride above the Brooklyn streets. 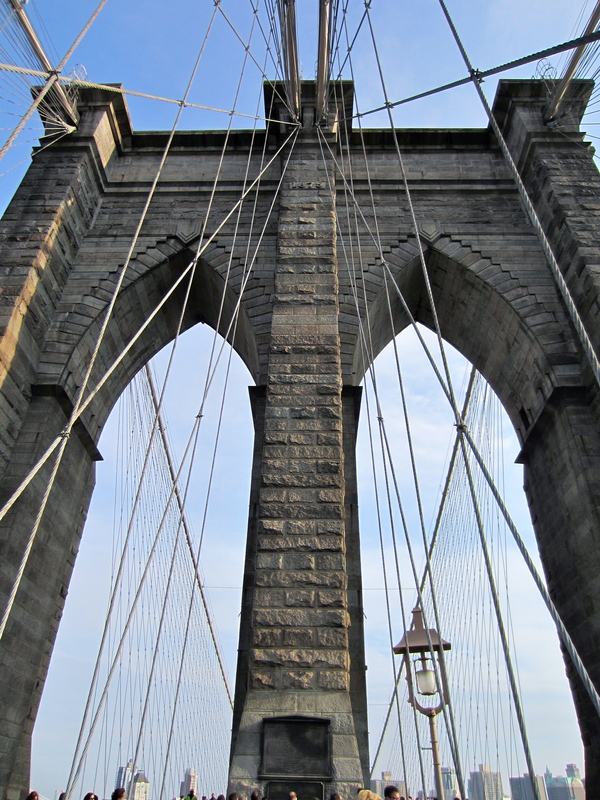 The Bridge was paved in sidewalks and traffic roads like the streets of Broadway and the tracks were the same tracks. There was no different feeling about the train as it went over the Bridge. New York was disappointing. The buildings were higher and the crowds thicker; otherwise it was little different from Brooklyn. From now on, would all new things be disappointing, she wondered? In the novel, you see Francie’s emotions stretch. You see her learn the truth. You see her believe with all her heart and then not believe. Whether you agree this is good – I’ll leave that for you to ponder.